Forty-six years ago today on April 3, 1973, Marty Cooper changed the course of history when he made the first call from a handheld, portable phone in midtown Manhattan. 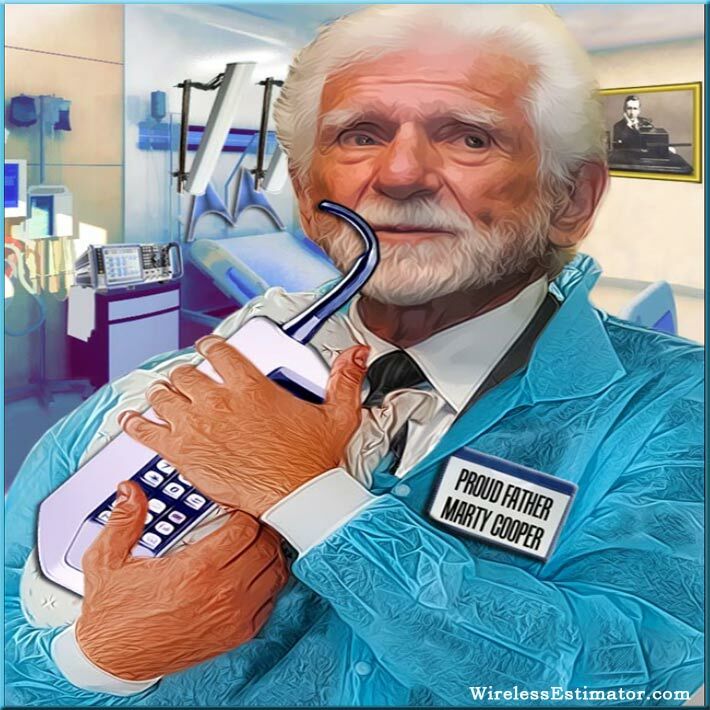 With the transformative impact of smartphones being felt by industries across the globe, and as the first 5G smartphones hit the market in 2019, Wireless Estimator and the National Association of Tower Erectors (NATE) salute industry icon Marty Cooper and the innovators who made these technological advancements possible. NATE members have deployed every generation of networks and related infrastructure and are currently on the front lines deploying the game-changing 5G wireless technology. In a 2013, prior to a 2014 keynote address at the NATE UNITE Conference in San Diego, Calif., Wireless Estimator published an extensive interview on the first Motorola cell phone, the DynaTAC, oftentimes called the ‘brick’, how it came to fruition by its design group and an extensive background on Cooper. Cooper remarked that “people don’t realize how important these tower construction businesses are to the world” in his keynote address that can be seen HERE. Many of his comments were spot on then and are prophetic to what is happening today on technical and social levels.